Many sportsmen, actors and other public figures eat chewing gum and their gum consuming habit has also inspired their followers to follow suite. I am a sports follower and for me the gum eating habit of the great West Indian cricketer Sir Vivian Richards was an inspiration to start having chewing gums regularly. Richards was a graceful and stylish batsman of his era and along with his batting, his chewing gum eating style also possessed a unique aura for all the people watching him in the cricket field, be it bowling or batting. Richards declared chewing gum his best companion in the cricket field which kept him in his comfort zone while batting and that too without a helmet while facing fiery fast bowlers. Chewing gum munching is not a useless activity but in reality it has many benefits but masses are generally unaware of these. Those who chew gum regularly experience a decrease in their craving of sweet foods. Chewing gum between meals can prevent from having cravings for snacks. Since the snacking in between meals usually contributes to a lot of calories, and we tend to snack on high fat foods, chewing gum can prevent from consuming too many calories. It can thus be a very effective practice for losing face fat as well. Like most parts of the world, people of Pakistan are also consuming chewing gums without any knowledge of its benefits. 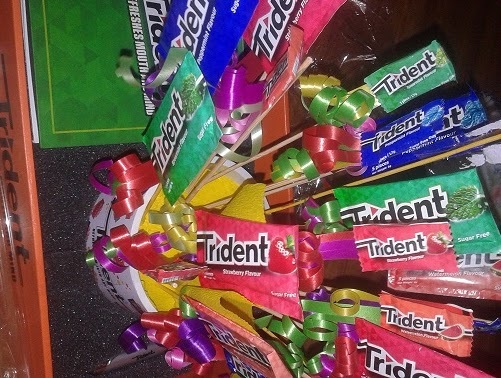 In Pakistan many local and international brands of chewing gums are available and recently the world’s best known chewing gum brand Trident, was launched nationwide. 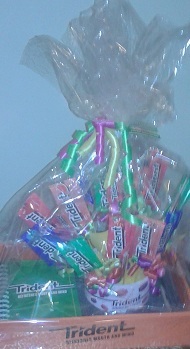 Trident was first introduced in 1964 and currently it is available in more than 70 countries around the world. 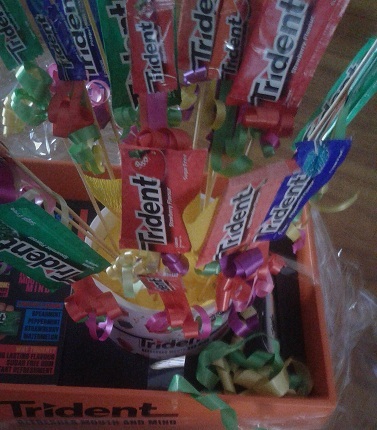 Trident is different from many other chewing brands available in Pakistan as it remains soft and maintains its flavour in the mouth for a long time. 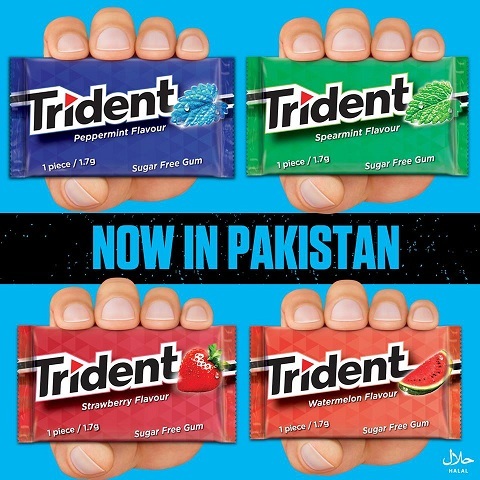 Trident in Pakistan has been launched in four flavours and out of four flavours; two are fruit flavours that is; water melon and strawberry. 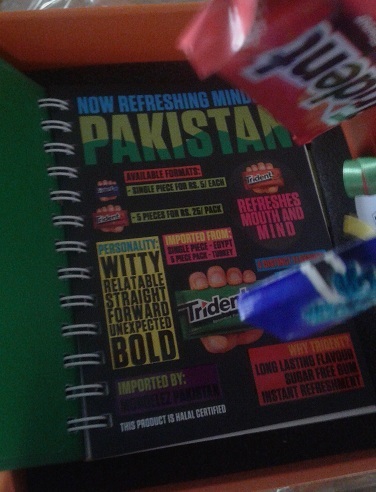 An advantage that Trident has over its competitors in Pakistan is that it is a sugar free chewing gum and everyone can consume it without having any health fears. Various researches have proved that eating sugar free gum can reduce tooth decay and can also help people in quitting smoking. A few days ago a friend of mine revealed that he quit smoking after 21 years. During the quitting process, he initially used nicotine chewing to overcome his craving for smoking but that did not work so he started using Trident chewing gums and after a few months of regularly consuming Trident, he succeeded in completely quitting his bad habit of smoking. In Pakistan, many smokers use betel nut to give freshness to their breath after smoking. I sincerely advise all of them to avoid betel nut as it is injurious to health but should instead use substitute such as Trident chewing gum to give freshness to their breath through a healthy activity. People in Pakistan have various eating habits but the awareness level in our country is low. It is high time to educate people about habits which are beneficial for their health and those which are harmful. Reverting back to chewing gums, I have observed that there are many different brands of chewing gums available in Pakistan but people don’t have any brand loyalty with them. I think Trident with its high global stance, superior quality and easy availability in low price points have all the reasons to rule Pakistan’s market as the most popular chewing gum of consumers in years to come.